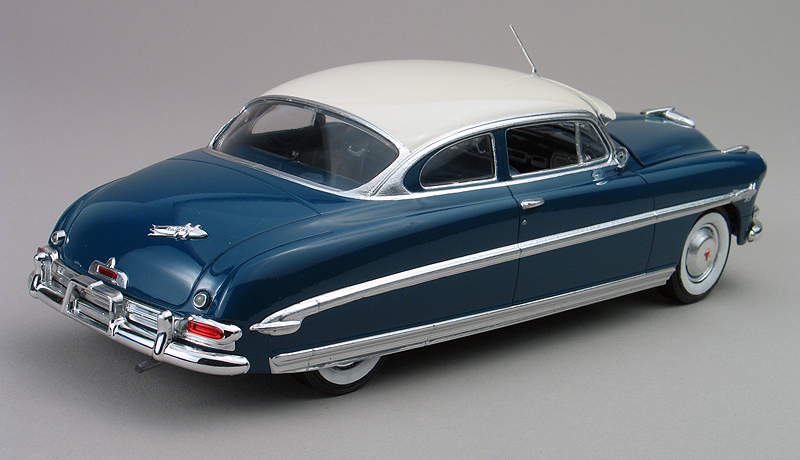 Moebius, a newer model kit manufacturer, recently introducted this new model kit of the 1953 Nudson Hornet. I first heard of the name Moebius a few years ago when they started making a line of sci-fi kits. 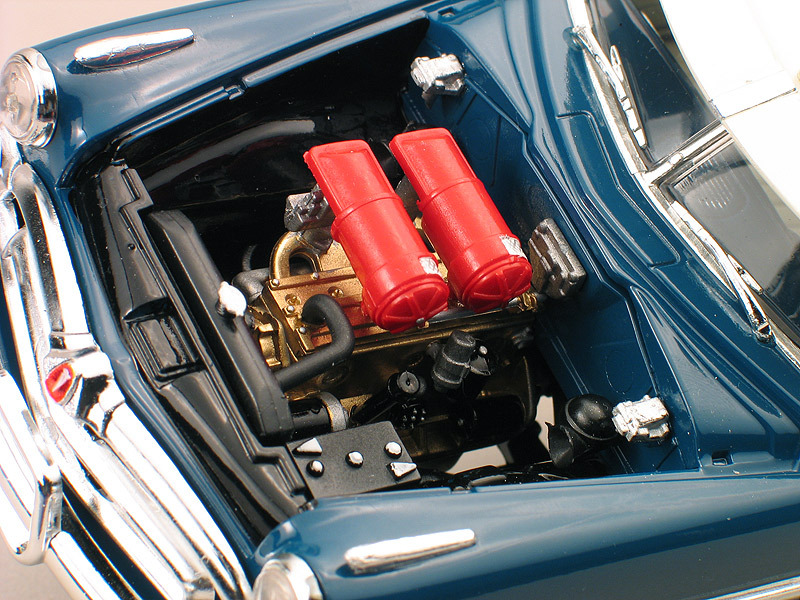 I'm not really into sci-fi stuff so much but I did apprieciate the quality of the kits and hoped that they would start making some automotive kits too. I was excited a little while later when they announced they would be adding a few cars kit to thier line. Upon hearing this, I contacted them and said I would like to be involved in creating some of their box art. 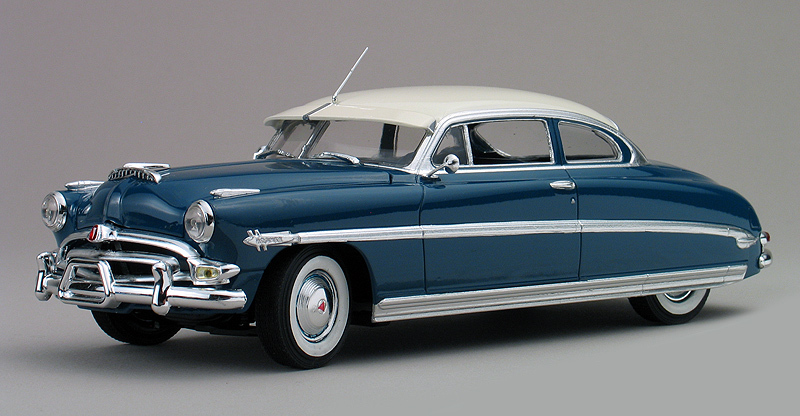 We struck up a deal and this Hudson is the first project to come to market. 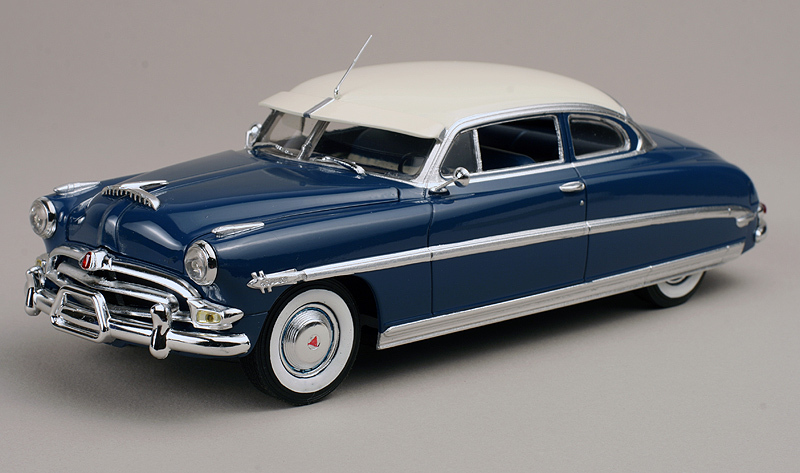 The Hudson Hornet is one of those classic cars that somehow stayed under the radar of the kit manufacturers. Even though it was a popular car in the ealy days of stock car racing, it just never seemed to be mainstream enough to warrant a kit. 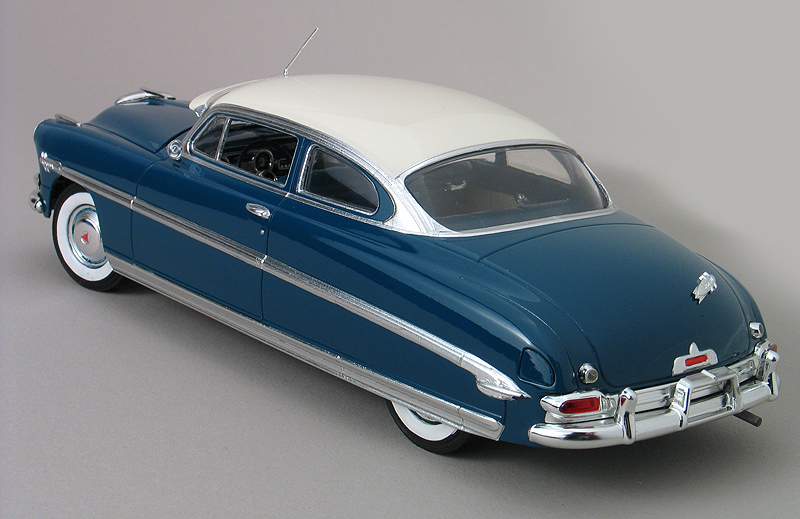 After the Hornet made an appearance in the Disney movie "Cars" things though and it then became more widely known. I began working on the box art for this kit early in 2010. First, I created the illustration for the box top. The illustration was digitally "painted" by hand in Photoshop CS5 using a Wacom monitor and stylus. I prefer to paint digitally over using traditionally media because I can create the art in multiple layers which allows me to be more experimental and make changes easier if I desire later. Also I can add some effects like "blurring" parts of the imagine to add more depth of field. 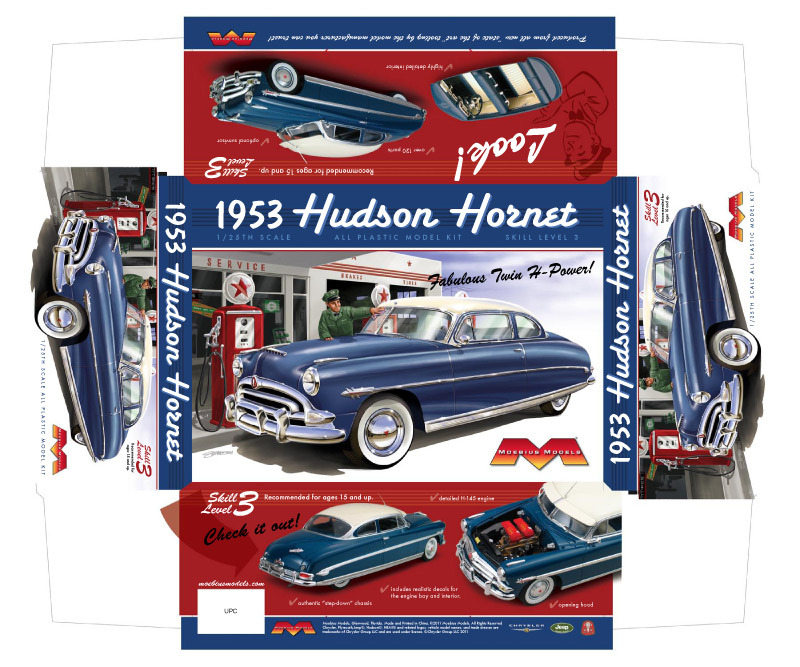 I wanted my illustration to capture the spirit of all the great automotive ads of the '50's. They mostly relied on hand painted illustrations back then versus photography. Rather than trying to make my illustration look photographic as I've done with other box art projects I've done I decided to break from my normal style and I purposely tried to make this one a bit more spontatious and painterly. In the illustration, I wanted to show the Hornet how it might have looked by in 1953 when it was new. I also have an affection for Petrolana and thought it would be fun to show the car in front of a classic gas station. I had to keep the gas station itself generic to avoid any licensing issues, so it is a conglomation of classic gas station styles of the '50's. 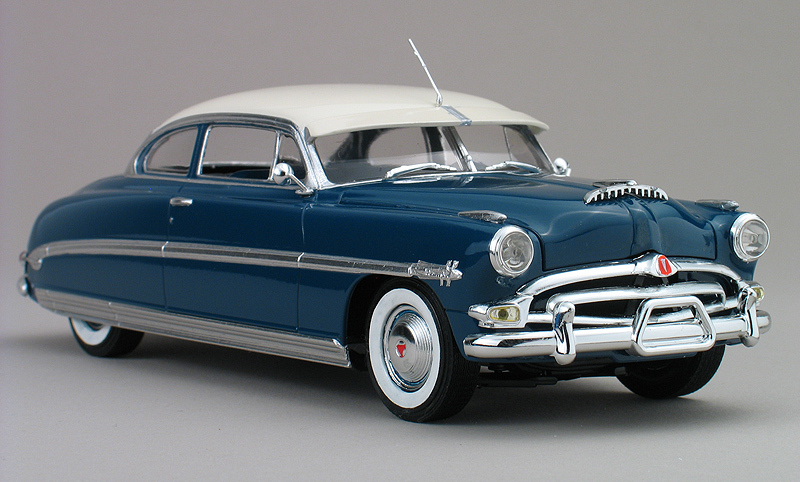 Mid-way through 2010, I was sent a 1st round test shot of the new Hudson kit. It was still missing engraving but the overall shapes were there. 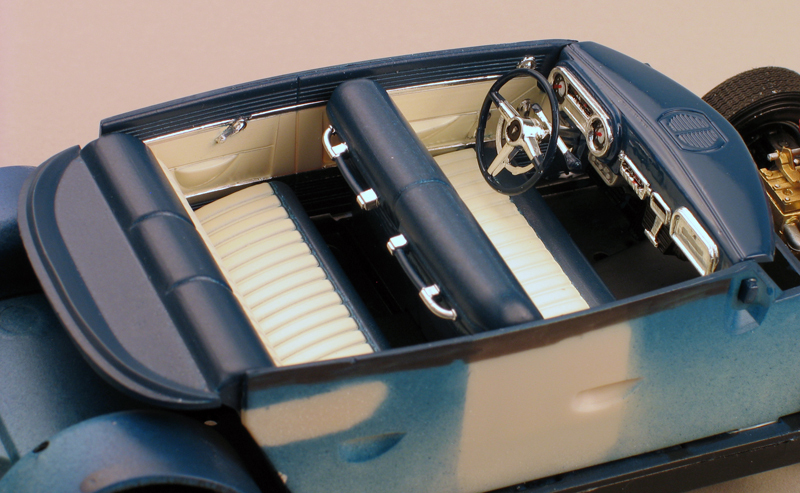 I used that test shot to build the model pictured here. After completing my build, I used this model for the box photos and then designed the rest of the box layout. Later, after inspecting the tooling test shot, Moebius decided to revise the tooling for the kit to make it even more accurate. So, my model differs slightly from the finished kit. The body proportions look pretty good on my build up but the revised kit in it final form is even better. 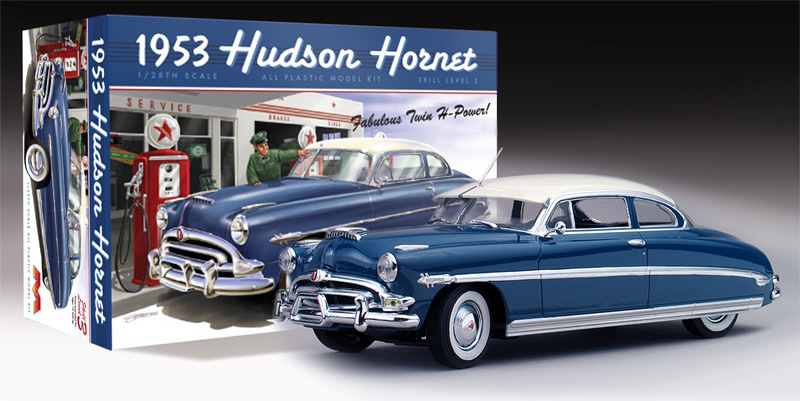 The Moebius 1953 Hudson Hornet has been one of the most hotly anticipated 1/25th scale plastic model kits in quite some time and it was fun for me to be a part of helping bring it to market.